Bonjour lecteurs! You must know it by now, we love nothing more than a good competition. So we are very excited to share with you today about the Premier League Writing Stars Competition. This one is a bit different from what we usually do. But it is all for the best. 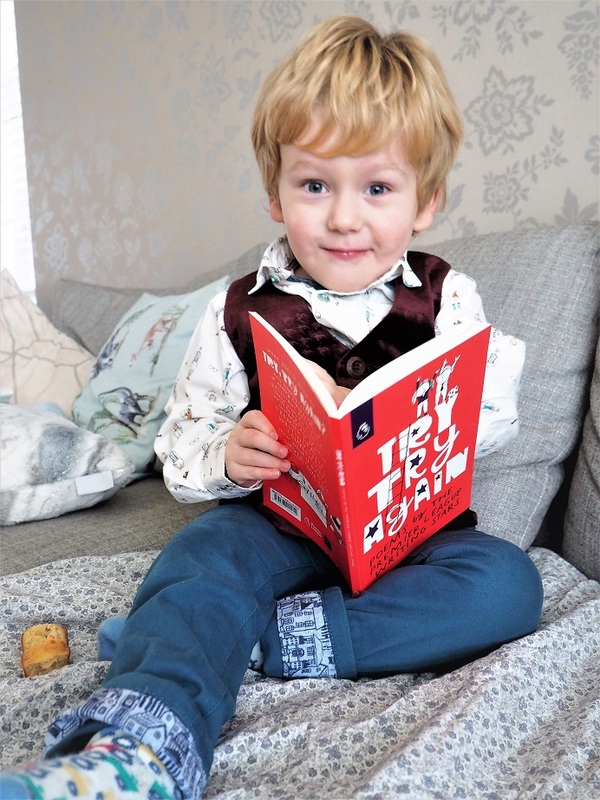 I tell you what, it will be such a fab project for your little ones to take part! So have a close look and join in the fun with the Premier League Primary Stars. I was very lucky (and may I say honoured too!) to be present at the Premier League Primary Stars One Year On Event earlier in May. 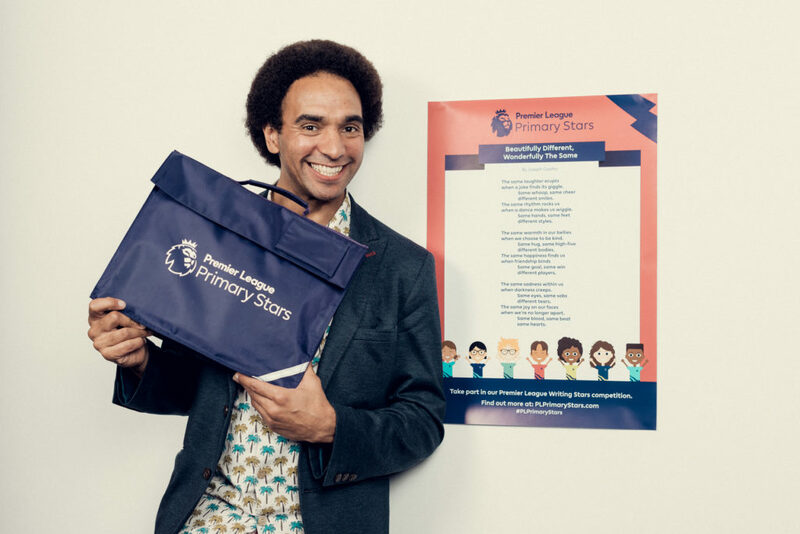 As I previously explained on the blog, the Premier League Primary Stars is a very ambitious community programme that sets itself for a mission to help schools to develop literacy skills (and more) amongst children. It has already engaged with 15 000 primary schools across the country in its last edition. I was overwhelmed and very much touched but the whole thing when I attended the party. The old teacher in moi was very sceptic about le projet when I heard about it in the first place. But once I saw the passion and what the children delivered, I totally changed my mind and I am even prouder to be part of the new programme! 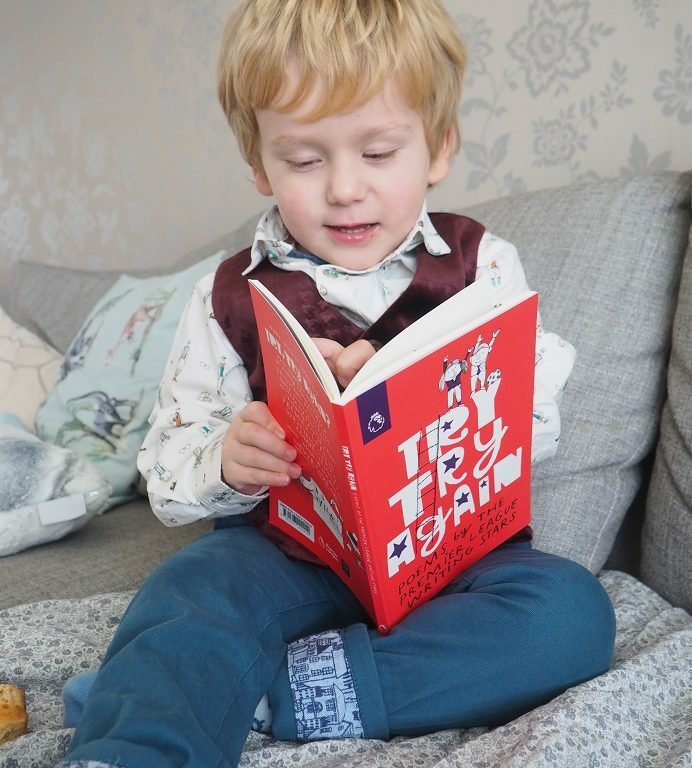 So what is it all about and how can your children take part? Let me tell you! This year again, thousands of children will be taking the poetry competition. Pupils across all the country will be asked to write poems based on the theme of diversity. La diversité! A big word, especially in the context of post-Brexit and all the changes that the government is trying to implement at the minute… But I am not here to talk about politics! After all, the Premier League Writing Stars Competition is such une bonne idée! The programme wants children to think about how different they are and what makes them special. And of course, kids taking part in the competition can also share why and how differences bring us together, as a strong team. 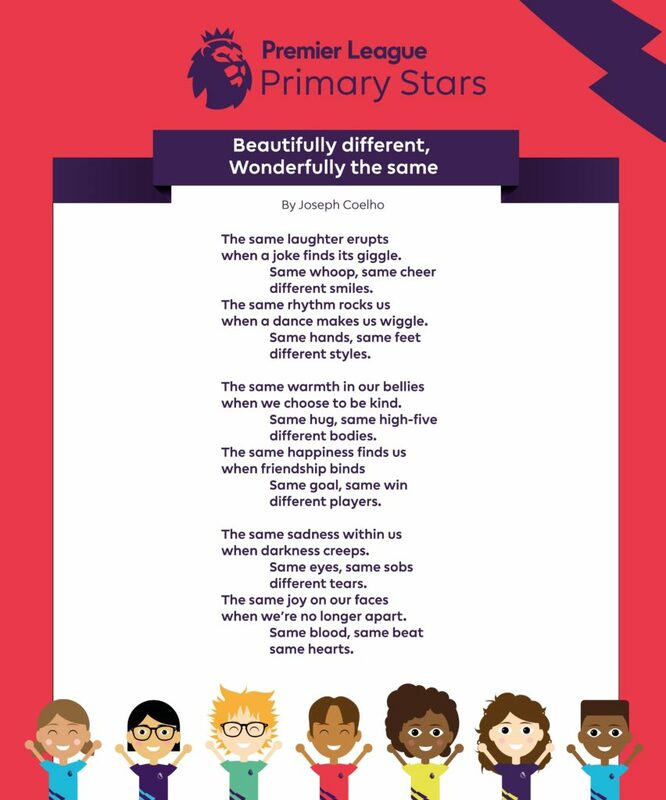 To get things started and inspire les enfants, the very talented Joseph Coelho wrote a beautiful poem called Beautifully different, Wonderfully the same. Specially written for the Premier League Writing Stars, you can find it and even download it on the official website. No need for me to talk about it; I would probably not make such a great job! Simply read it here and enjoy. Bien sûr, the piece of writing encourages us to think of ways to celebrate similarities and differences that link us together. Fancy taking part? Check with your local school if they are joining in the fun. If not, they can simply register with Premier League Primary Stars. And to even spice up a bit the whole project, Premier League enlisted a selection of big names to be judges! 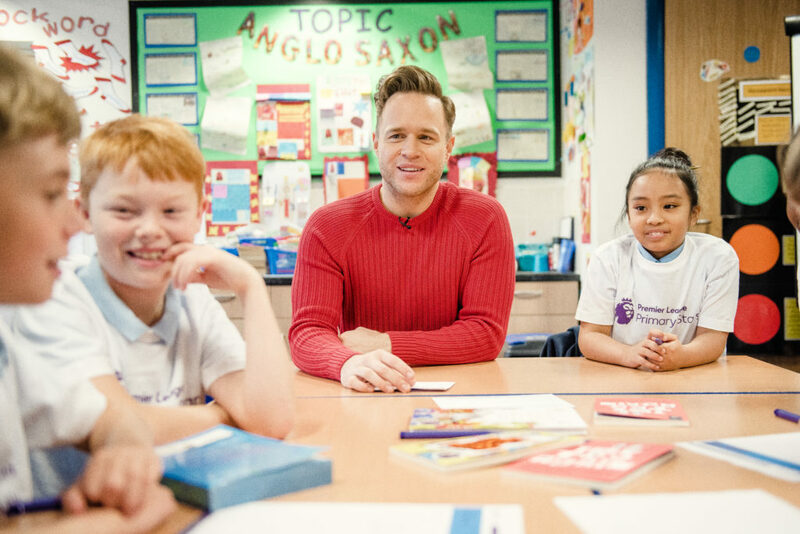 Of course, a famous footballer is also part of this fab initiative! 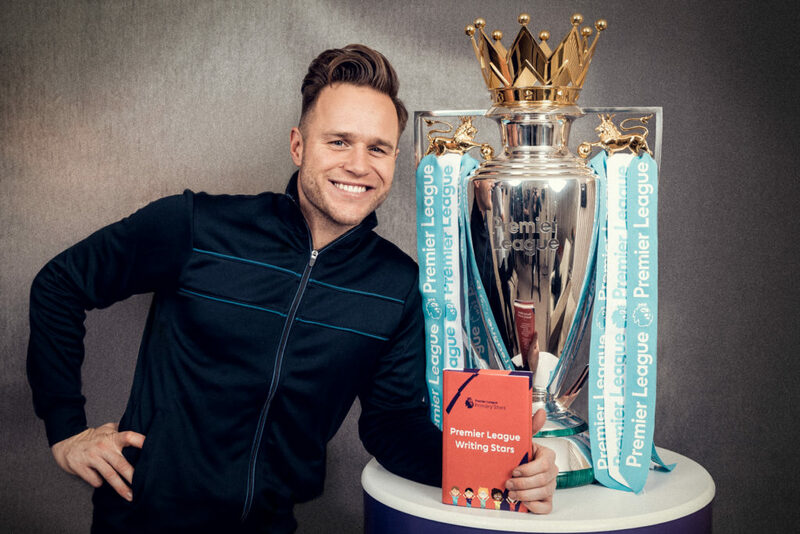 The former Premier League footballer Rio Ferdinand will join the singer and songwriter Olly Murs as well as the gorgeous Waterstone’s Children’s Laureate Lauren Child to decide on the lucky winners! Joseph Coelho will be in too! All the judges can not wait to read your poems! The Premier League Writing Stars Poetry Competition was such a success last year! I personally witnessed the impact it had on so many kids. It proved itself to be a fun programme for children to become active learners while supporting teachers in developing key skills they will need in life. Is your child bored at school or looking for a new challenge? Then invite their school to get involved in the programme. The full terms and conditions are available here and you can also access some resources to help them create! Just remember, the competition is open from Tuesday 9 October 2018 until the end of the autumn term – Friday 21 December 2018. 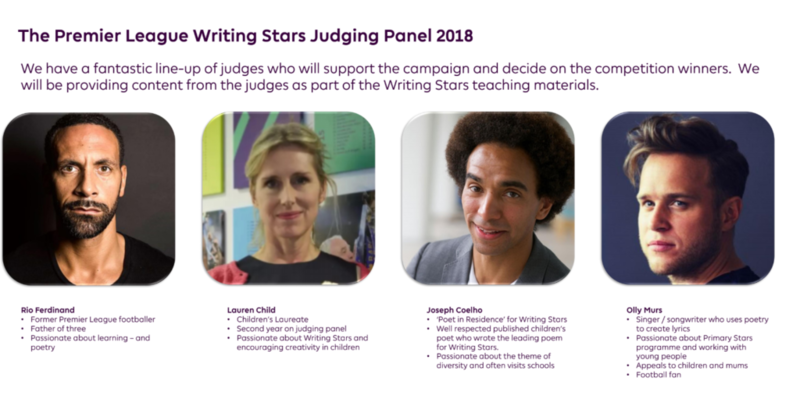 Bonne Chance and have fun with the Premier League Writing Stars Competition! I can not wait to see the winners read their pieces and celebrate with their loved ones! Thank you for reading about the fab Premier League Writing Stars Competition! I hope you will take part! See you soon for more Frenchie giveaways on the blog this week! Disclosure: This is a collaborative post with Premier League Primary Stars. I might ask about this at my children’s schools! What a lovely idea! I work in a primary school and I may have to mention this! Want a fabulous range of clothing. Love it. I think this is a great project and very timely choice of theme especially after that very disturbing incident caught on camera of a refugee child being horribly bullied. I hope projects of this type will indeed counter the alarming increase in xenophobia caused (or at lest encouraged) by Brexit. I think my daughter would have enjoyed this, her schools were really good on diversity. This sounds wonderful. What a lovely project to be involved in. Plus it’s a great way to talk about topics like diversity and get them to write down their thoughts. It’s a fabulous idea to celebrate differences and writing and imagination is always something that should be encouraged. I have never heard of this before, it looks great to inspire creativity. Sounds such a great idea. 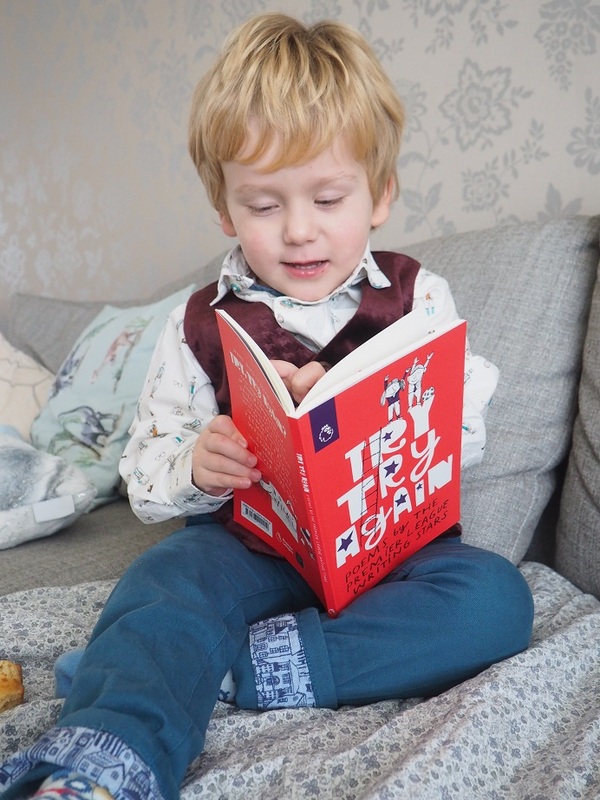 It’s wonderful to get children interested in literature both reading and writing their own. I did it with my children and now with my grandchildren. Love the incentive! Would love for Bea to get involved when she is at school. I hadn’t heard of this initiative but it looks wonderful. So good to see it being widely supported. What a good idea. I must check to see if my granddaughter’s school is involved.